Cologne - The end of an era is approaching in Dortmund with Jürgen Klopp soon to step down after a successful seven-year stay on the Westphalian club's bench. The BVB head coach has just three games left before doffing his hat to the club's faithful and bidding what is certain to be an emotional, perhaps tearful and potentially glorious farewell after his swan song, the DFB Cup final against VfL Wolfsburg on 30 May. 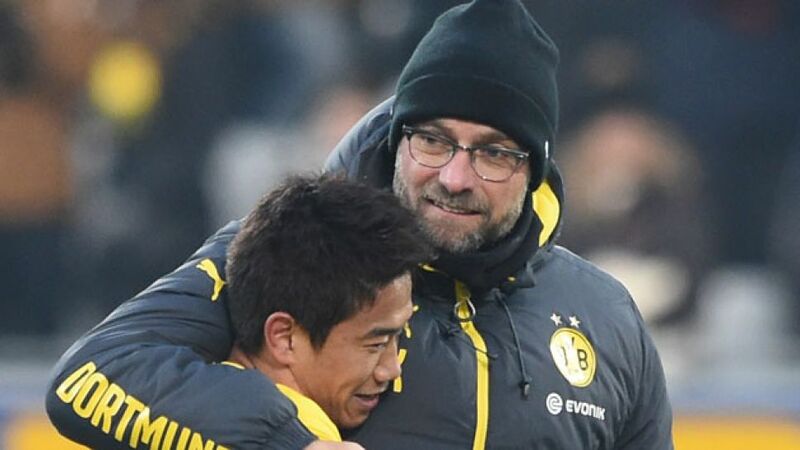 One player whose emotions will also be running high is Japanese international , whom Klopp brought to the club in 2010 and then re-signed last summer. Speaking to the media this week, the midfielder explained just how much he was indebted to the charismatic coach after three eventful seasons under the 47-year-old's guidance, as well as his own ambitions for the future under incoming coach Thomas Tuchel. "It's quite normal that a bit of tiredness creeps in towards the end of the season. I don't want to put my tiredness against Hertha down to the amount of games we've had, though. The psychological aspect plays a big role in it." "I'm incredibly grateful to the coach. When I arrived in Dortmund in 2010, he led me into the Bundesliga. I felt his faith in me right from the very beginning and enjoyed two wonderful years under him. In 2014, he brought me back again. I've developed really well with him. We'd all love to be able say goodbye to him in the right way." "I could never have imagined us having a period with so little success. Even though the core of the team was the same, things just didn't seem to work. That really gets you down." "Obviously my national team colleague Shinji Okazaki knows a bit about him, but I've not really thought about him yet. I hope I'll find out a bit more about Thomas Tuchel the next time I'm on international duty."